and much, much more in this 40 page volume! 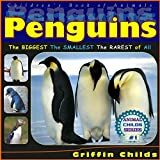 Kids love penguins and this book is jam packed with the most intriguing facts and information of all! 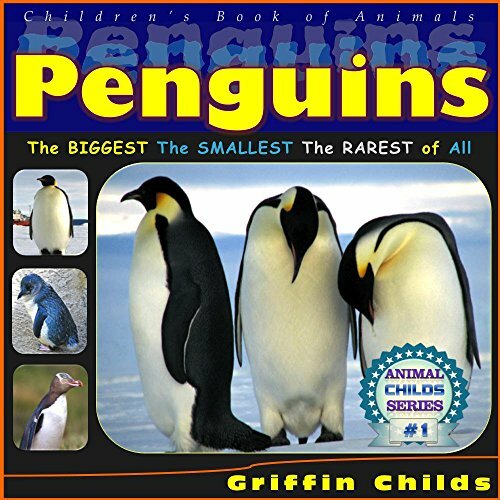 * Do you know what breed is the largest of all the 17 species of penguins? And how large is large? Well, about the same height as an average sized seven year old child, but they can weigh as much as 50 pounds more! * What breed of penguin is known as the the “timid” one? Don’t let their reputation fool you! This little guy is the most vocal and has the biggest voice of all! * What breed of penguins live at the North Pole? This is a trick question and the answer may surprise you! * Do you know what penguins are “Rock Stars?” Well, not really, but this breed is wildly popular and has featured on stamps in over 30 countries! * What does the future hold for our flightless friends? The uncertain future of the penguins is not limited to only the rarest of this species. Find out why! Find out the answers to these questions and more! SCROLL UP AND GET YOUR COPY NOW!